Just when we thought it was the end of the road for the iconic R and B group.Wave making 90s group, Boyz II Men are back and the men who used be boys are sounding better than ever. The brand new sound for their new album Collide which will drop on the 21st of October is catchy and groovy. "The song itself is basically about a relationship gone awry, but the instrumentation is what makes this interpretation cool." "Collide is a landmark album for us not only because it contains some new stylistic elements, but also because it is a reflection of exactly who we are now. 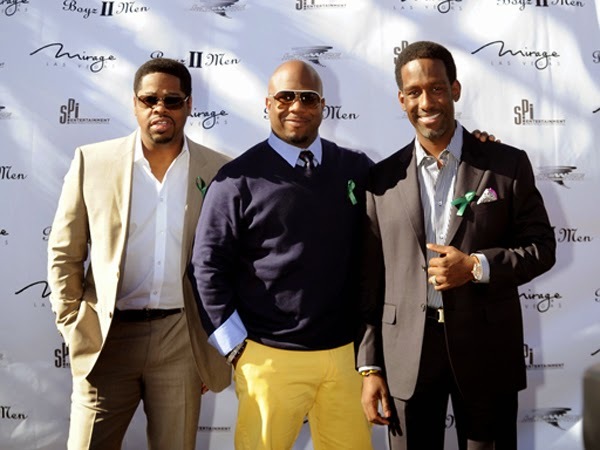 Boyz II Men will perform a free outdoor concert at The Americana at Brand in Glendale, California on Monday.